Low carbohydrate diets such as Atkins have always been controversial, but with the recent wave of new research and publicity, the controversy is now raging hotter than ever. One headline in the San Francisco Chronicle said that the battle between the low and high carbers had become so heated since mid 2002 that "Knives had been drawn." From my vantage point (as a health and fitness professional down in the trenches), it looks more like tanks, artillery and machine guns have been drawn! Tragically, the people being hurt the most by these "diet wars" are not the experts, but the dieters. After its original publication in 1972, The Atkins Diet was regurgitated in 1992 as "Dr. Atkins New Diet Revolution," creating a new surge of interest in low carbohydrate dieting. Then, in July of 2002, the controversy reached an all time high when the New York Times Magazine published an essay by Gary Taubes titled, "What if it's all been a big fat lie?" The article suggested that new research was now proving the late Dr. Atkins had been right all along. More research in 2003 seemed to corroborate the Taubes story: Two studies in the New England Journal of Medicine in May of 2003, and another in June 2003 in the Journal of Clinical Endocrinology and Metabolism, suggested that Atkins was equally, if not more effective for weight loss than conventional diets – at least in the short term. With the publication of this new information, Atkins supporters boasted, "See, I told you so,” while their opponents fired back in defense of their high carb, low fat positions. Meanwhile, low carb foods and supplements became all the rage, bread and pasta sales took a nosedive and the wheat industry cried the blues. With differences in opinion as opposite as the North and South Poles, it's become unbearably confusing and frustrating to know which weight loss method is best and safest. At the date of this writing, in late 2003, obesity has reached an all time high –AGAIN! According to the Journal of the American Medical Association, 64% of Americans are overweight and 31% are obese, and it's only getting worse. Obviously, the popular weight loss methods today – including the low carb diet – are still missing something…but what? If you're confused by the whole high carb, low carb thing and if you're frustrated with your attempts at trying to lose weight and keep it off, then this may be the most important report you will ever read. 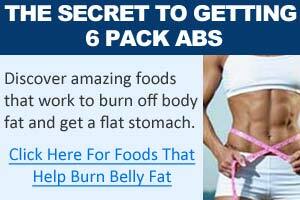 In the next few minutes, you'll discover the real truth about low carb diets and a real solution to the problem of excess body fat. 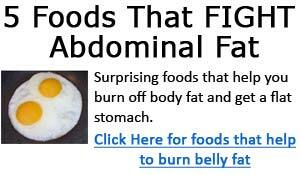 Read on to learn the 10 Lies about the Atkins diet and the truth that will set your body free! If your definition of what "works" is quick weight loss, then the Atkins Diet DOES work. Recent studies showed that the Atkins Diet causes greater weight loss than the American Heart Association-recommended high carb, low fat diet. In fact, for obese people with disorders of carbohydrate metabolism (hyperinsulinemia, hypoglycemia, and insulin resistance), Atkins-style diets have been shown to work especially well. However, if your definition of what "works" is permanent fat loss, then the Atkins diet doesn't fare so well... but neither do any other diets. It seems that despite some encouraging initial successes, Atkin's dieters still face the same difficulties keeping off the weight as everyone else. Some of the same studies showing rapid weight loss on Atkins in the beginning also showed substantial weight gain as soon as the diets ended. Which approach towards low carb dieting is best is also up for debate: Not all low carb diets are high fat or ketogenic and not all are "ultra-low" in carbs. A low carb diet can be low in carbs and high in fat, it can be low in carbs and high in protein, or it can be somewhere in the middle. I predict that continued research will discover that moderate carbohydrate restriction (especially in a cyclical fashion) and careful selection of carbohydrates, will in fact assist with fat loss via hormonal control, metabolic efficiency and appetite regulation. I believe that neither extreme - the severely restricted low carb diet (ketogenic diet) or the very high carb, low fat diet – will emerge the victor. If you surf around the Internet for a while searching for "Atkins Diet," you are likely to see a lot of advertisements and news briefs pointing to the new research "proving" that Atkins is effective. "New England Journal of Medicine Vindicates Atkins diet." "Studies suggest Atkins diet is safe." "New research challenges 30 years of Nutritional Dogma." Truth is, these headlines are not giving you the full picture. Until and unless you have closely examined these studies and the researcher's interpretation of the results, don't be so quick to believe the hearsay. "The results are very preliminary,"
"The take-home message is that this diet deserves further study." "More research is needed." Furthermore, consider what the Atkin's diet was being compared to in these studies: The traditional "food pyramid" diet with 60-65% carbs including plenty of pasta, cereals and bread, right? 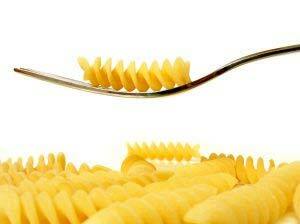 Don't write off carb restriction completely, but don't ditch all your carbs yet either. In a May of 2003, the results of a 12-month study on the Atkins diet were reported in the New England Journal of Medicine (NEJM). One group followed the traditional food pyramid with 60% of the calories from carbohydrates while the second group followed the Atkins diet. After one year, Atkins participants had a greater increase in the good HDL cholesterol and a larger drop in triglyceride than the high carb group. Gary Foster, the leader of the study said, "Our initial findings suggest that low carb diets may not have the adverse effects we anticipated." This belief is now being questioned. Many authors such as Mary Enig and Uffe Rashnkov have presented compelling cases that dietary cholesterol and saturated fat do not cause heart disease. The latest research seems to confirm this. However, many factors affected the results of these new studies. In some studies, the subjects did not follow the Atkins Diet to exact specifications and never entered ketosis, so conclusions about The Atkin's Diet, ketosis and coronary health cannot be drawn yet. In other studies, cholesterol-lowering drugs were used. And in still others, some subjects actually showed increases in total cholesterol. Those who did show improvements may have previously been on a high refined sugar, high saturated fat diet and dropping the sugar was one step in the right direction. Furthermore, some of the drop in blood cholesterol could be attributed to the decrease in body weight. Clearly, you can't lump all dietary fats into the same category. Processed and chemically altered trans fats have been condemned by virtually every health and nutrition expert on the planet. Other fats, like salmon and fatty fish, are among the healthiest and cardio-protective foods you can eat. Much evidence is showing that reasonable amounts of naturally occurring saturated fats such as those found in whole eggs and red meat also need not be feared (especially in the absence of sugars). Truth is, all the information we have available at this time indicates the "fat phobia" and "fat makes you fat" scare has been unfounded because not all fat is the same. However, claims that diets very high in overall and saturated fat are healthy and safe for long term use are still premature. Dr. Atkins writes that his diet "Is so perfectly adapted to use as a lifetime diet that, unlike most diets, the weight won't come back." It's a weight loss axiom that the more extreme a diet and the faster the weight loss, the more difficult it is to maintain the results. Slow, steady and balanced seems to win the race when it comes to weight control. Unfortunately this isn't what most people want to hear. The four pounds per week and up to 15 pounds in the first two weeks that Atkins promises sounds much more impressive. (2) Are you going to you keep the weight off for good? Most low carbers won't keep the weight off for more than a year, and many will fall off the wagon long before that. Keith Ayoob, a spokesperson for the American Dietetic Association (ADA), said in an official ADA statement about the 2003 NEJM studies: "Twelve months is an equalizer; you hit a wall. Your lifestyle starts to be affected and you get bored. A high dropout rate is a sign that extreme diets can be difficult to maintain. Truth is, despite Dr. Atkin's claims and the new research apparently supporting them, we still don't know what will happen in the long run. Based on the results of the recent three, six, and twelve month studies, researchers have begun to organize longer trials. One of them will be five years in length. What you will probably see in long term studies is that Atkins and other very low carb diets, while effective for weight loss in the short term, will be found no more effective for long term fat loss than any other restrictive diet (and that's NOT very effective).